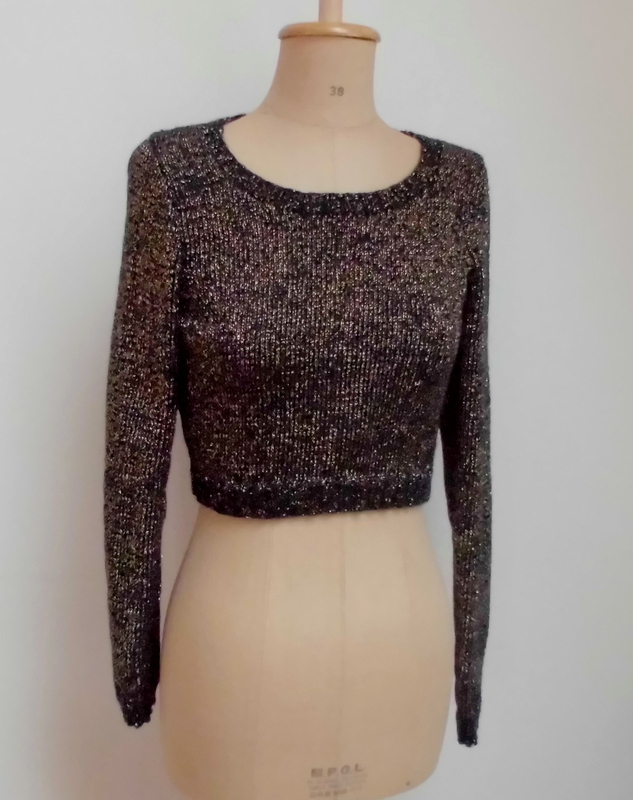 Sparkle Sparkle: Jumpers, Jackets and Midriffs! Taking a break from handbags I have been busy creating a ready to wear collection for all you lovely ladies out there who fancy a touch of originality to accompany you on your nights out. My main theme for the end of the cold season is metalics with wool. 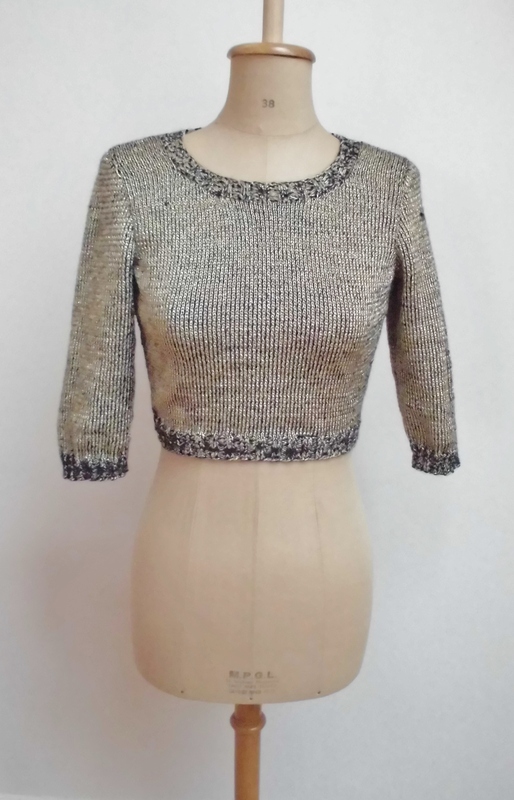 I have mastered a technique on the LK150 called “plating” where the wool and the metallic yarn are knitted together but the wool comes out on the reverse side, and the metal fibre on the right side. This ensures maximum sparkle and warmth! So far I have 3 models, an open cardigan, a crop round neck jumper with half sleeves and a crop jumper with long sleeves. 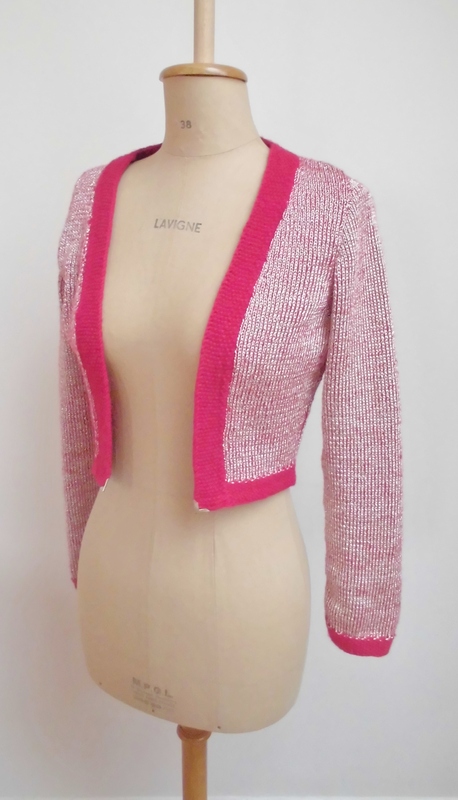 I love the crop look as it is really eye catching and versatile. Wear over a dress (as in my photos) or equally with a long t and jeans you will be rockin’ a look that your girlfriends will envy! All items are available in my shop on Etsy. Photos of the items modelled to follow!